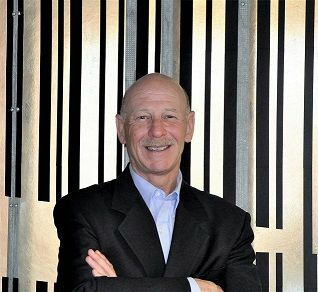 BALTIMORE - May 23, 2017 - PRLog -- Barcoding, Inc. (http://www.barcoding.com/), the leader in supply chain efficiency, accuracy, and connectivity, announces it has brought on three supply chain experts to assist in the expansion of its Consumables by Barcoding™ practice. These new team members will help new and existing customers overcome challenges and comply with industry best practices in labeling. · Compliance labeling: Many verticals have been faced with more regulations and are now being required to use specific compliance formats. Because of this, consumables customers need more assistance with understanding and designing the correct labels to meet these regulations. · Operational expenses: Small- and medium-sized businesses are seeking more ways to control their operational expenses in an effort to operate more efficiently. One way to do this is to reduce the costs associated with labels and consumables. Barcoding's team is able to help customers reduce this indirect spend by 20 percent by consolidating the use of outside vendors. · Label trends: The use of RFID in the consumables and labeling market has grown dramatically in the last year. There's a large growth potential and Barcoding's extensive experience in RFID will be able to support customers looking to streamline the adoption of this technology. Dave C. Reba, director of Consumable Sales, Barcoding, Inc., said, "We've found that many companies are turning to small, local converting shops to fulfill their labeling needs due their local presence. This can add risk due to limited ability to provide services and scale with the customer's needs. Eventually, the customer may need to change vendors as their needs evolve. Whether small, mid-size or enterprise, it may be to their best interest to use organizations that have consulting services, such as Barcoding. At Barcoding, we have the expertise, proven technology, materials and scalability to design label solutions that help reduce risk and cost of acquisition." In addition to Reba, Barcoding adds David Stevens, Consumables sales and project manager, and Peter Zalinksi, product manager of Identification Solutions, to the Consumables team. Together they bring more than 60 years of combined expertise. Reba has a proven track record in developing and executing strategies resulting in significant market share growth, enhanced profitability and improved customer satisfaction and comes most recently from SATO. Stevens, with 25 years in media and labeling, is experienced with dealing with the entire consumables product cycle, as well as working with manufactures and resellers. As the Barcoding NetSuite Liaison, Zalinski enables customers to leverage label and RFID automation with mobile devices to enhance their NetSuite and NetSuite WMS implementations.